As part of the Social Committee at my work, we decided to organize a bake sale to raise money for our party fund, which was the perfect opportunity to try out a few of the recipes that I've been dying to make! 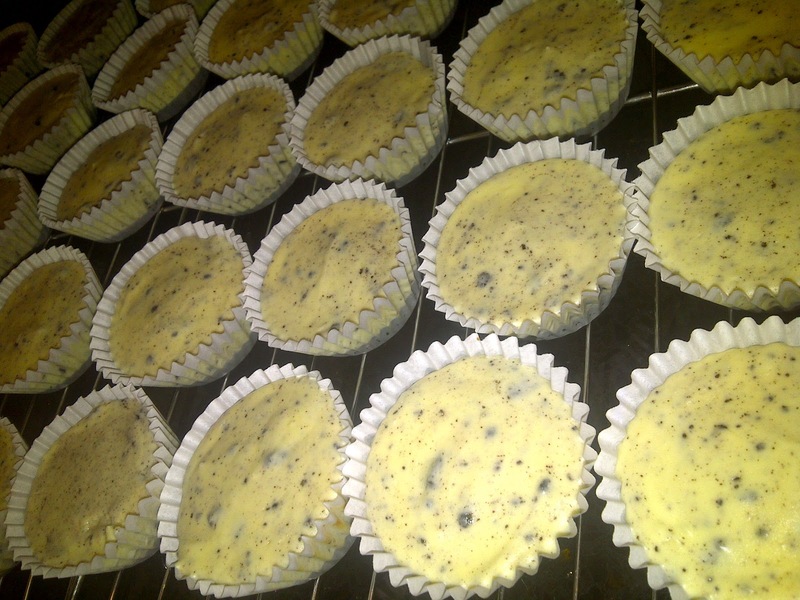 The one at the top of my list was 'Cookies and Cream Cheesecake Cups'. 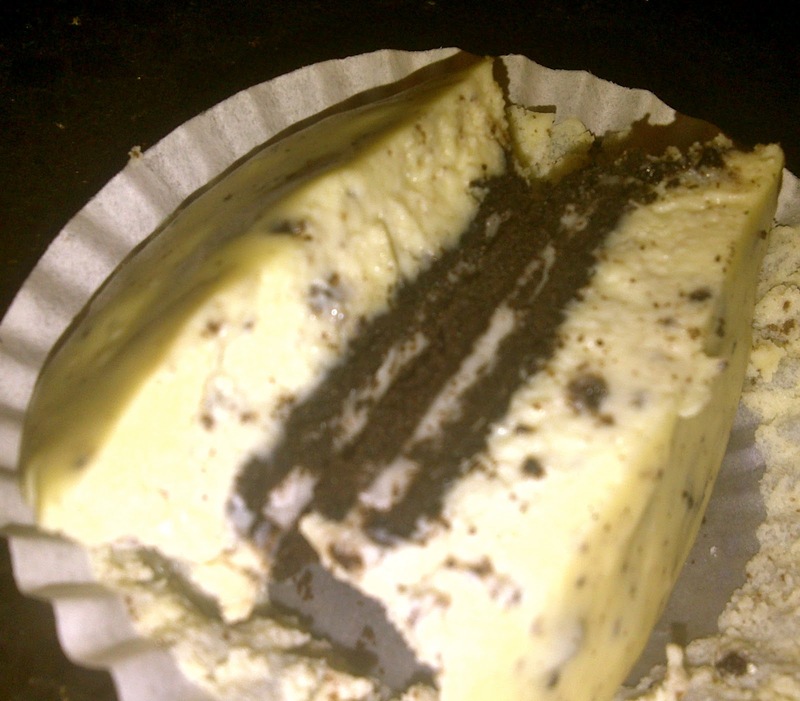 There's nothing better than cheesecake and Oreos...and when you put them together, the combination is deadly...deadly delicious that is! 1. Preheat oven to 275° F.
2. Line muffin tins with paper liners and place one Oreo cookie in the bottom of each lined cup. 3. With an electric mixer on medium high speed, beat cream cheese until smooth. 4. Gradually add sugar and beat until combined. Then add the vanilla. 5. Drizzle in eggs, a bit at a time, beating to combine. 6. Beat in sour cream and salt. 8. Add batter to cookie-lined cups and fill almost to the top. 9. Bake, rotating pan halfway through, for 22 minutes. 10. Transfer to wire racks to cool completely. 11. Refrigerate for at least 4 hours. 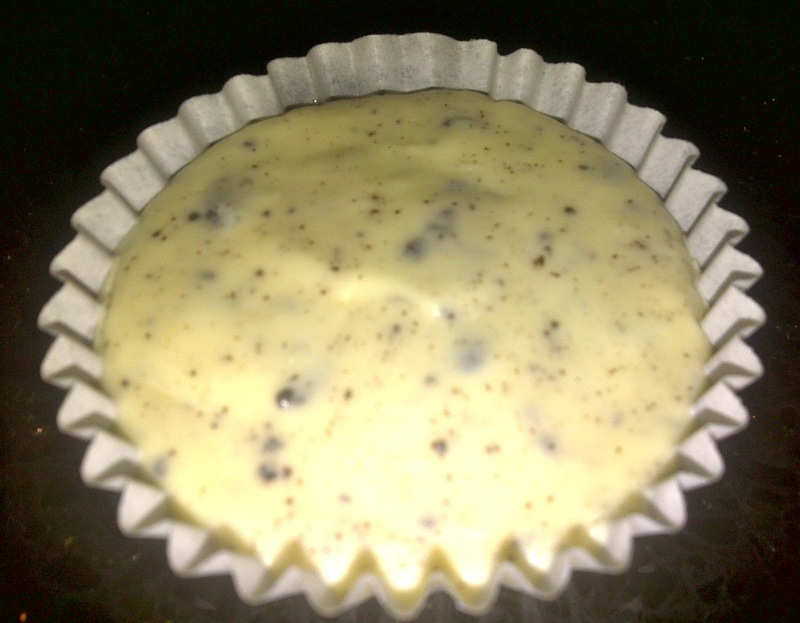 A word of caution...the recipe indicated that it would yield 30 cups, but my batch could have made double this amount had I not ran out of Oreo cookies. 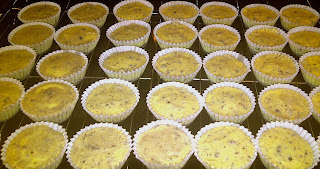 Instead, I made 36 cheesecake cups, and I used the remaining filling to make an entire cheesecake. I whipped up a graham cracker crust for the bottom.